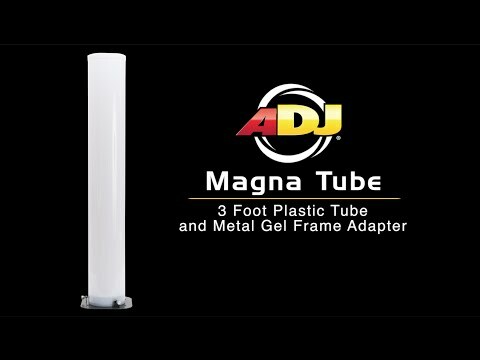 The Magna Tube is a 1m plastic tube with a metallic, magnetic gel frame-adapter that fits almost any Flat Par with metal front-housing. The Magna Tube gel frame-adapter has 4 strong magnets that holds the Magna tube firmly to the metallic housing of a Flat Par. 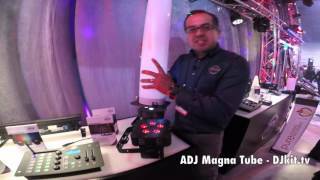 Considering purchasing the American DJ Magna Tube? Have questions? Ask people who've recently bought one. 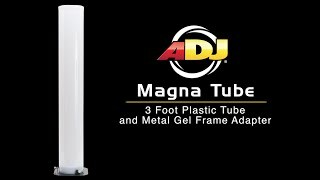 Do you own the American DJ Magna Tube? Why not write a review based on your experience with it. Got these to add a different type of effect. They're simple but work well and give a really soft but impressive display. I got a pair or TRI7XS to light them and they're bright but not too intrusive. The remote works through the tube which is good and I've hooked up my 4 old megapars to these as slaves so the 2 tubes stand proud at the sides of my rig whilst the megapars wash the wall in sync with the colour of the tubes. Really nice effect. Slow glow or fixed colour for soft scenes then sound to light for dancing. Really chuffed with the overall effect. Seen a video for American DJ Magna Tube online or have you own video? 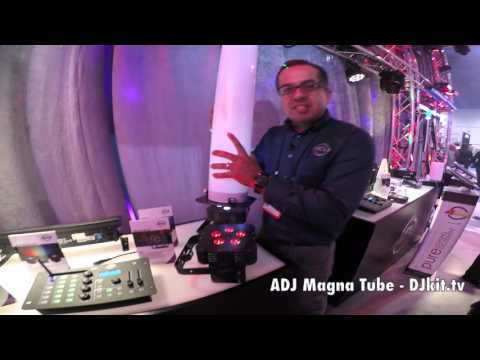 Check out American DJ Magna Tube on DJkit.com!